Affordable Full HD LCD Monitor Anyone? 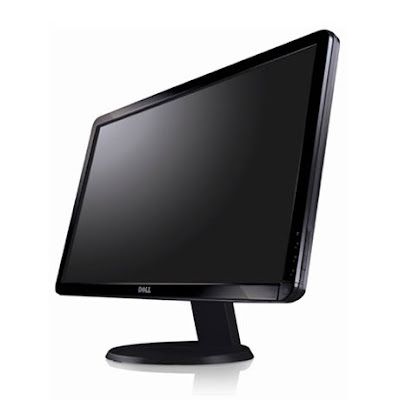 If you are in the market for a new LCD monitor for your PC, perhaps you might want to consider the Dell S2409W, 24-inch Full HD LCD Monitor provided you have space on your computer desk. Being full HD; the native resolution for this monitor is 1920 x 1080, with the large desktop space it will easily fit 2 windows side by side. 16:9 aspect ratio will also provide that perfect HD video playback without that letterbox effect, 2 black horizontal lines on top and bottom of the movie. Apart from VGA and DVI connections, this moitor also fearues HDMI connector for higher quality digital connection. Priced at only RM 699, I've stumbled upon this huge bargain while browsing Dell's website. After reading some reviews from the net and having an average user review of 4 out 5 stars (CNET, PC World, Dell) I honestly think this monitor truly gives the maximum bang for your money spent. Quote from CNET "Dell S2409W provides good quality for the money." It may all sound good but one thing to consider in selecting any LCD monitor is the viewing angle. As mentioned in reviews; when viewed at an angle it darkens slightly however it is very crisps when viewed straight on the right angle. Despite of that, everything is reassuring when reading the user comments. Therefore I was really tempted to get this monitor for myself but, I'm currently happy with my 22-inch Samsung 226BW LCD monitor. If you're interested, head fast to Dell's website as offer ends on 26th February 2009. Full HD 1920 x 1080 resolution – Enjoy the latest movies and blockbusters in their highest resolution available. 16:9 dynamic aspect ratio – Delivers a Full HD experience seamlessly. HDMI – Rapid transfer of high quality video and audio in a pure uncompressed digital state for plug and play simplicity. Sleek new design - The glossy black bezel complements most environments and most Dell systems. 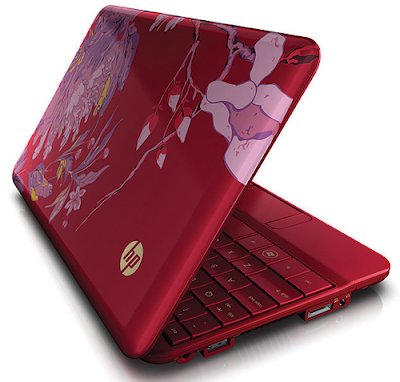 While checking for HP Mini 2140 availability at HP Malaysia Online Store, I've stumbled upon another version of the HP Mini 1000; the Viviene Tam edition. This model was release in the US a few weeks after the introduction of the Mini 1000 and retails at US$699 (appox RM 2,516), a difference of US$250 (approx RM 900) from the original Mini 1000 (US$449; approx RM 1,616). However to my surprise, the Viviene Tam edition is relatively cheap in Malaysia at only RM 1,999 and the difference is not much with the original HP 1000 selling at RM 1,699. This may due to the fact, the Malaysian edition uses a normal HDD instead of the speedy and expensive solid state drive. All is not lost as with the normal HDD, you gain much more HDD space (60GB vs 16GB). While the other specs are the same as an original Mini 1000, the exception with this edition is its exterior design; which is all splashed in red (including the keyboards) with floral design. and it comes with a design matching silk sleeve. 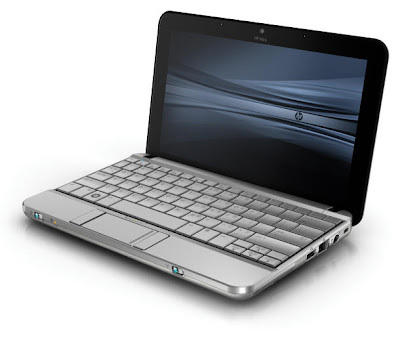 In my opinion, it is a sweet looking Netbook for the ladies and nicely priced. 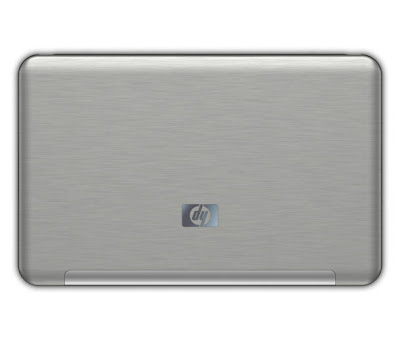 Grab this Netbook fast if you're interested as HP does state 'limited edition'. Link to HP online store. Windows XP Home Edition SP3; 1.6GHz Intel Atom N270; 1024MB DDR2 SDRAM 533MHz; 128MB Mobile Intel 945GM; 60GB Toshiba 4,200rpmdesign matching silk sleeve. Photo source : various from the web. When HP introduced the HP Mini 1000 end of last year, I was impressed with its hip contemporary design. Being a Netbook understandably I've put my expectation for it's performance at a minimum and kept in mind that it was meant for surfing and light productivity on the go. Nonetheless I've researched extensively on the web for its features and reviews. 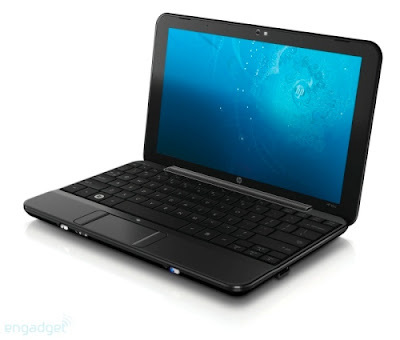 bwana and Dan Ankerman reviews really put the HP Mini into my serious consideration. 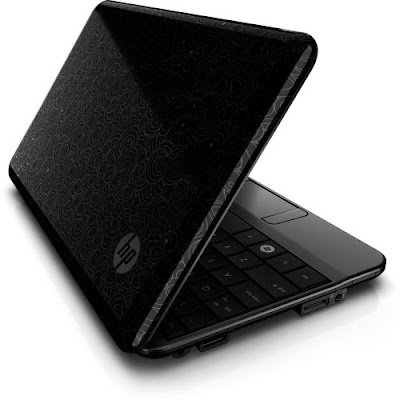 It showed, how snappy the HP Mini was running productivity applications, web streaming and video playback. So off to the store for physical evaluation and man, I fell in love with the look, built quality feel and it's lightness straight away. The Windows XP also performed surprisingly well with most of applications launched quite fast, videos played well, hibernates/shutdown/restart/launch Windows at an acceptable time. Umm by the way I'm doing this tests at Harvey Norman and cheekily without shame asking the sales guy to key-in the password every time I hibernate/shutdown/restart/launch the Netbook. I especially like the large keyboard slapped end-to-end on the system, it's really comfortable and no learning curve is required to get used to. The HP Mini 1000 does have its downside, with a smaller and slower HDD from other offerings in the market at 60GB 4200RPM and no VGA out (requires special cable). Despite these 2 minor set-backs, I was sold and ready for a purchase. RRP for the HP Mini is RM1,699. Surveyed Harvey Norman, Digital Mall PJ and Low Yat Plaza; the best bargain from the lot is at Low Yat whereby at RM 1,700 (payment by credit card charges included), they upgrade the RAM to 2 GB and throw in 5 freebies (Mouse, USB Hub etc). Another company offers the same as above but with additional 160GB WD External HDD (worth RM175) at a total of RM 1,800. To me the latter is the better offer even its priced higher, as I can easily sell the external HDD at RM 150 and get the system at only RM 1,650! However it was not meant to be get this Netbook on that day, the only new unit that they have, had a physical defect on the screen (probably someone poked it with a sharp object). Went for the first bargain without the external HDD, they on the other hand didn't have stock. Turns out their store manager was still on CNY holiday. With a heavy heart, went home without my HP Mini. That night I've research some more re-run the video review and I've stumbled on something that got me really excited! It's a newer model of the HP Mini 2140. It's much more sleeker being in an aluminum chassis with PCI/54 Express card slot, 120 GB 160 GB 5400RPM HDD and VGA out. The HP Mini 2140 was introduced in the US market early Jan 09 and it should arrive in Asia by mid-Feb 09 and as of yesterday it is just on sale in Singapore. Hopefully it will reach Malaysia by end of the moth or I'll drive down the there to get one. Actually it's a blessing in disguise that my purchase didn't went through for the HP Mini 1000 as I'm definitely would want the latter. For now I'm continuing to google everyday and joined forums to get the latest updates on its availability here. Windows XP Home Edition SP3; 1.6GHz Intel Atom N270; 1024MB DDR2 SDRAM 533MHz; 128MB Mobile Intel 945GM; 60GB Toshiba 4,200rpm.